Let's dance in Barcelona and create the chance to watch the breathtaking Flamenco Dance show in Barcelona city! If you plan a journey to Barcelona, Spain then it's a must see activity before you come back. So are you ready to learn about more about this terrific traditional dance before you start your Barcelona travel? What is the importance of Flamenco Dance? What is Flamenco Dancing? How to Flamenco Dance? In this article we will try to keep on your Barcelona travel guide about its traditions and amazing lifestyle. Even though most people think that Flamenco is a dance, it's not the thing we think. Flamenco is not a dance but it's a musical form that sometimes may have dancing movements inside. So what does musical form mean? When a singer and guitarist perform at the stage spontaneously it means Flamenco but if someone wants to dance and join this perform then maybe dance idea can occur. We advise you to go to a tablao shows which offer you a real flamenco show. A tablao is place where flamenco dance is performed. It's a term used today instead of 'cafes cantantes'. 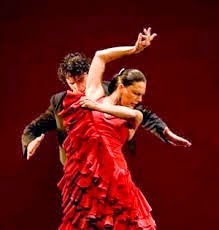 Flamenco is a Spanish folk music and it's one of the symbols of Barcelona. 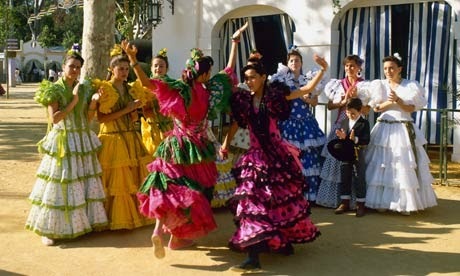 Originally, flamenco comes from the southern Spain, Andalusia. The term involves cante which means singing, toque; guitar playing, baile; dance and palmas; handclaps. So when one has the chance to watch that splendid show h/she can taste dance, music, singing at the same time. Occurred firstly in 1774, flamenco was thought that it belonged to Romani people ( gitanos) in Spain but today every ethnic people are willing to perform this traditional dance all around Spain and Barcelona also. In 2010, Flamenco was declared that it was a Masterpiece of the Oral and Intangible Heritage of Humanity by UNESCO. So where does flamenco word come from originally? Apart from its musical context, flamenco may mean 'flamingo'-a bird but it's originally means 'flame-coloured' and also 'Flemish' someone or something related to Flanders. A courtiers of Carlos I, Spain were well-known about their exaggerated courtesy and also arrogant and boisterous behaviours. Of course there is no direct relation between these people and term but later flamenco may have become a term used for arrogant behaviour in general applied to Gitano players and performers due to their harsh movements. 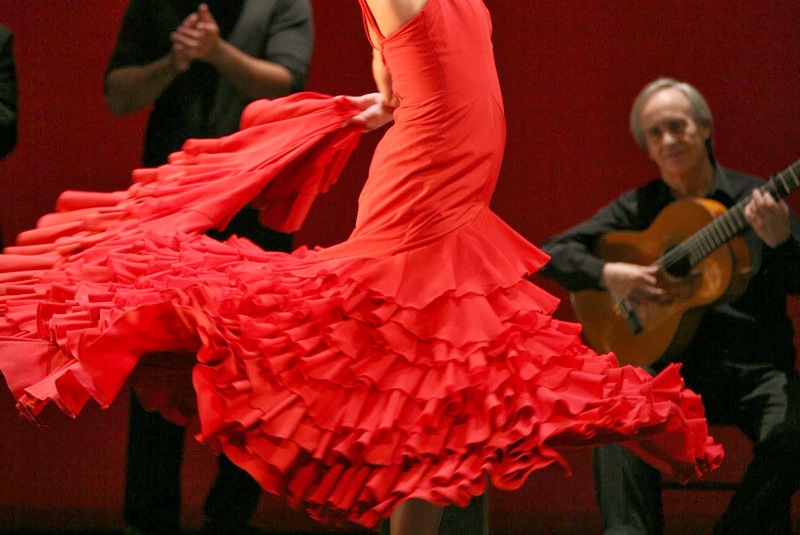 Flamenco dancers and singers around the world are really passionate we can say. You need to concentrate and be prepared to enjoy four steps of Flamenco show. Flamenco types include in the juerga, in small scale cabaret, in concert venues and in the theatre. The juerga is an informal coming together including dancing, singing and palmas. The professional concert is more formal. In a traditional concert, there is a singer and a dancer. A dance concert generally involves two or three guitars, one or more singers singing solo in turn. The theatrical performance of flamenco is like a ballet's dance perform and includes more dramatic movements.